KLforExpats - English-speaking Health Insurance Brokers in Germany! Our Company specializes in the health insurance needs of incoming foreigners who work here in Germany with a local employment contract. With our insurance expert Mirja you can put all your health insurance worries behind you. 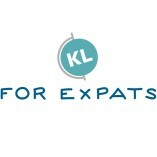 KLforExpats - English-speaking Health Insurance Brokers in Germany! offers a professional service. KLforExpats - English-speaking Health Insurance Brokers in Germany! conducts consultations in a clear and structured manner. KLforExpats - English-speaking Health Insurance Brokers in Germany!bases recommendations on helpful facts. Mirja has been excellent to work with. She's very knowledgeable , excellent communication skills, and helpful answering questions and finding solutions. I highly recommend her for any health insurance related inquiries! Mirja has been extremely helpful in finding the right insurance for me, and after I took the offer she has continued to answer me promptly whenever I needed any advice (such as finding out if a treatement will be covered). It was also very helpful to talk all the details in English. Highly recommended! Your message to KLforExpats - English-speaking Health Insurance Brokers in Germany!